Hand packed with delicately flavored Sunflower oil, these select cuts of tuna in our Flavor Fresh Pouch® are an excellent choice for people who prefer tuna packed in oil, but are concerned about their health. 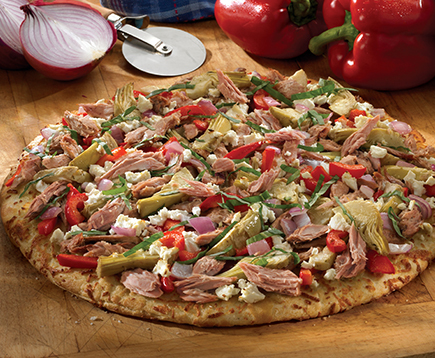 It has the same premium tuna as our Chunk Light Tuna in Water – it’s tuna you can really tear into! Because it’s no drain, it’s perfect on a salad, in a sandwich, right out of the pouch or used as a substitute for beef or chicken in your favorite recipes. **Our 2.6 oz. 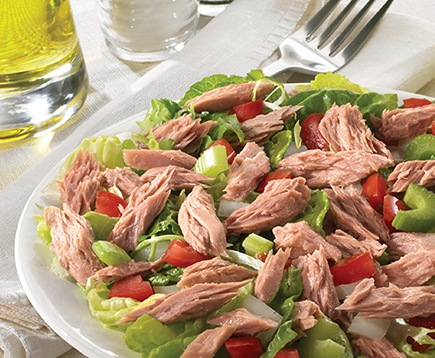 Chunk Light Tuna in Sunflower Oil has 250mg per serving of EPA and DHA combined. **Our 6.4 oz. 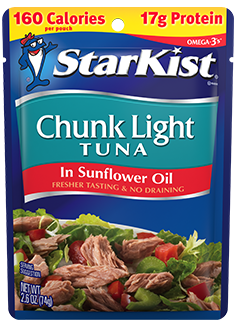 Chunk Light Tuna in Sunflower Oil has 190mg per serving of EPA and DHA combined.